Looking for fun things to do near the Dove Mountain, Tucson neighborhood? Going out to see a live comedy show is a great way to spend an evening. Laughter is medicine, after all. Check out this roundup of the best comedy clubs in and around Tucson. Laff’s is the only venue in Tucson dedicated to live standup comedy performances. Established in 1988, it has live shows every single Friday and Saturday night with 2 main shows each night, one at 8pm and one at 10:30pm. You can catch nationally touring comedians including some of the most well-known comedians of our time. 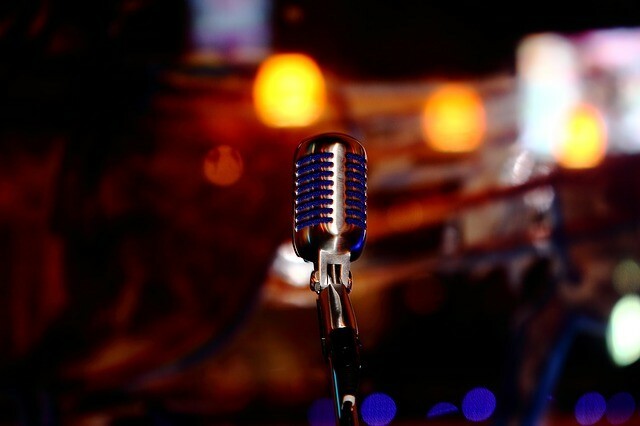 If you want to see up-and-coming artists, or even try out your own stand-up comedy skills, then check out their weekly Open Mic Nite every Thursday. The best part? Admission is free on Thursdays. The comedy club has a nice variety of food and drinks as well. Appetizers include chicken wings, nachos, and jalapeno poppers, to name a few. Some options they have for dinner include Philly cheese steak sandwiches, burgers, wraps and paninis. If sweets are your thing, you will be happy to know they have old fashioned, hand-crafted shakes, ice cream and cheesecake. For more information on upcoming shows, check out their website https://www.laffstucson.com/. This is a local comedy theatre that has shows on Friday, Saturday and Sundays. General admission is $18 and senior and students are $16. For reservations call (520) 270-9310. Another great theatre for you to visit in Tucson is…. Showtimes are Thursday through Sunday and tickets are available only by calling (520)512-5145 or visiting the box office. These are just a few ideas on how you can spend your evenings when you’re living in Dove Mountain, Arizona, near Tucson.